The stakes were high on the park....and the steaks were also high (in quality) in my pie.....best so far! 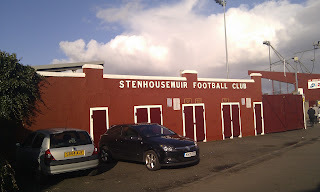 It wasn't only the catering that was of a high standard at Ochilview on Saturday. The entertainment both on and off the pitch could, together, result in enough material for two blog posts. So I’ll try and keep it concise. Arriving at the ground and paying a reasonable £11 to get in, I took my seat in the Main Stand - one of only two 'in use' stands at Ochilview. 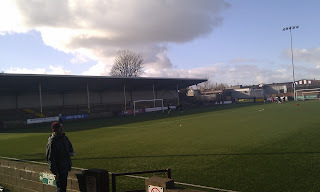 The Tryst Road End sat behind the left hand goal, terraced but unused for this match. My stand was modern looking, but only 7 rows deep at all points. Comfortable though. I was surrounded by a real mix of people, from the oldest of men to the youngest of boys and even two women who, throughout the game, swapped wedding pictures from a recent set of nuptials (the bride was horrendous by the way). 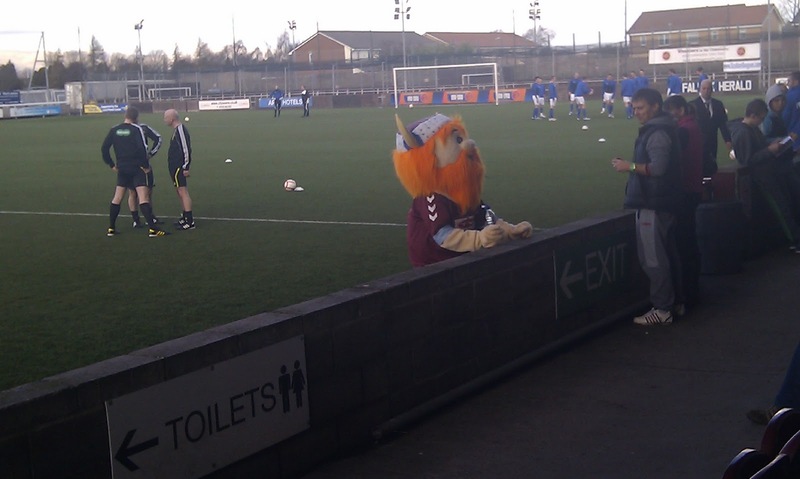 On the pitch, pre-kick off, was Wally the Warrior (Stenny's mascot) who looked like the love child of Avid Merrion and the Honey Monster. 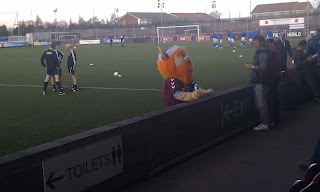 Wally was joined by the two matchday mascots – neither of whom supported Stenhousemuir (Rangers and Manchester United if anyone's interested) but one of whose favourite food was announced to the stadium as “Turkey Dinosaurs” and the other whose “interesting fact” was that he shared a birthday with Cilla Black – nomination for the dullest kid in the Falkirk region? Opposite my stand was, quite possibly, the smallest gantry I’ve seen in my life (pictured below) in which a stadium announcer tried his very best to sell the Player of the Year presentation dance to the fans. For those interested: It's on April 30th and tickets are £10 a head for disco, dancing and buffet. So, fully satisfied with the half hour before kick off, I hoped the match would entertain in the same way. I wasn't disappointed in the slightest. This game was absolutely tremendous, particularly the first half which gave us five goals, bags of old fashioned up and at em stuff, and some technically good stuff to boot. 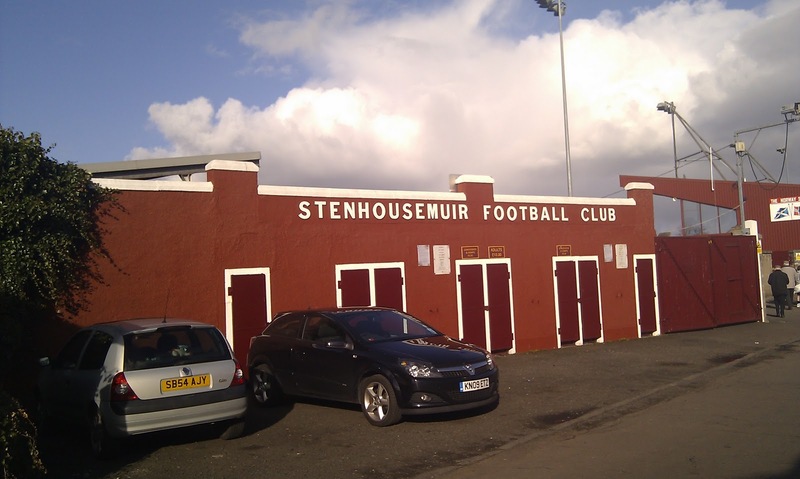 The floodgates opened after 29 mins when a dominant Stenhousemuir went ahead via an Alex Williams toe-poke. 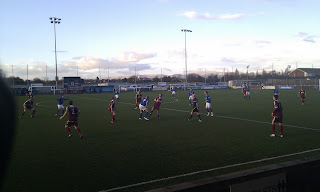 Some shocking defending from the home side put Peterhead 2-1 up with goals from Paul Emslie and Callum MacDonald. Stenny equalised 5 minutes before half time after Scott “Dazza” Dalziel prodded home after the ball dropped to him in the box and then insanity was complete 2 minutes later when Grant Anderson stuck away a tidy back post header to make it 3-2. 5 Goals in 15 minutes – superb stuff. 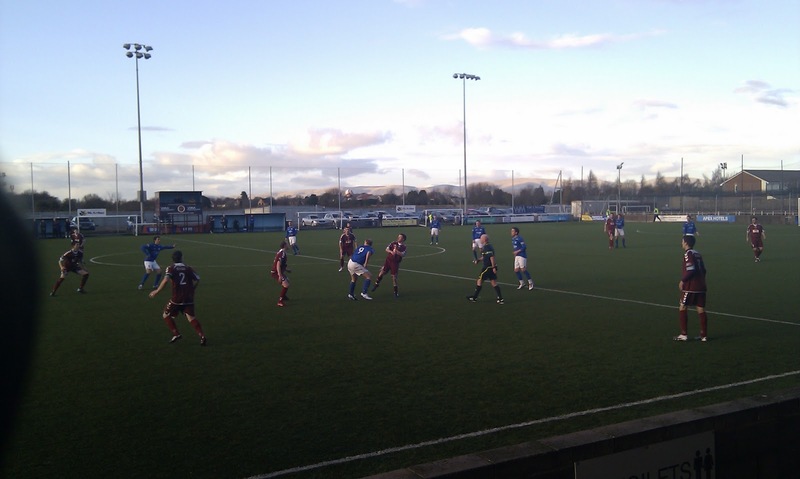 The attack play from the home side was impressive – Scott Dalziel in particular acting as the focal point up front and Andrew “Magic” Stirling terrorising the Peterhead full backs with some old fashioned wing-play and trickery. At the same time though, you could see why both teams were struggling at the bottom of the table with some of the defensive play truly shocking. One more in the second half from Simon Lynch finished Peterhead off and acted as a huge boost to Stenny's survival hopes. 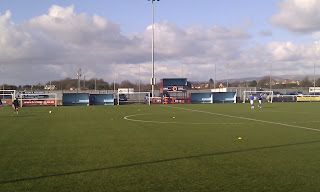 Something of particular interest was the fact that this match was played on a Artificial pitch. Not one of these 1980s Luton Town pitches or the horror shows you see Spartak Moscow playing on either. This was your real top notch astro-surface which, to be honest, was not detrimental to the quality of the football played at all. When you consider the state of the pitches at Aberdeen, Dundee United, Motherwell and St Johnstone, surely there needs to be a case for a more common sense approach to what surfaces SPL teams can play on? This was my first experience of Division Two and on this evidence, I’ll be going back pretty soon! 90 miles an hour the whole game and full of meaty challenges – definitely not an arena for spandex jockeys – these two put on a pretty entertaining show. Off the pitch, a nice family friendly atmosphere and some top notch scran will leave your belly satisfied even if the match doesn't turn out to be quite as much fun as this one was for me! Star Man: Scott Dalziel (Stenhousemuir) – the big man had a great touch, was superb in the air, linked up play brilliantly and was instrumental in at least 3 of the home side's goals. 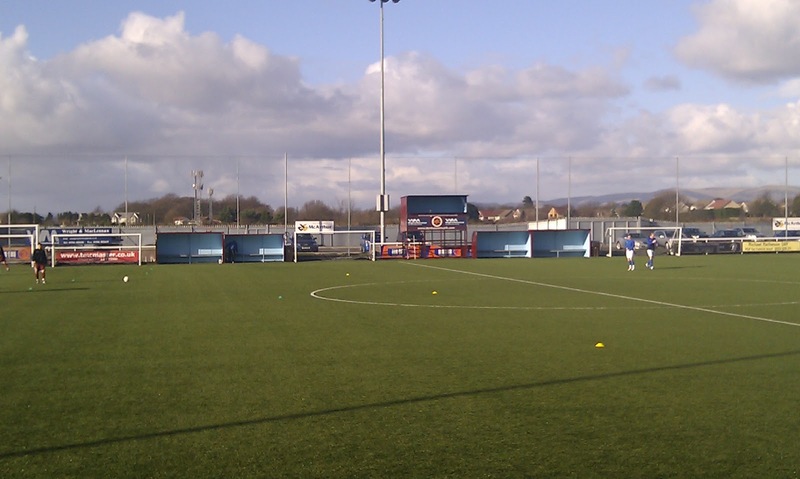 Recommendation: Definitely get yourself along to Ochilview to see the Warriors play. I thoroughly enjoyed this game and the whole experience. Yet another high scoring game in the Scottish league and further evidence to back up my theory that our game has a hell of a lot more to offer than people give it credit for!